On the Go! 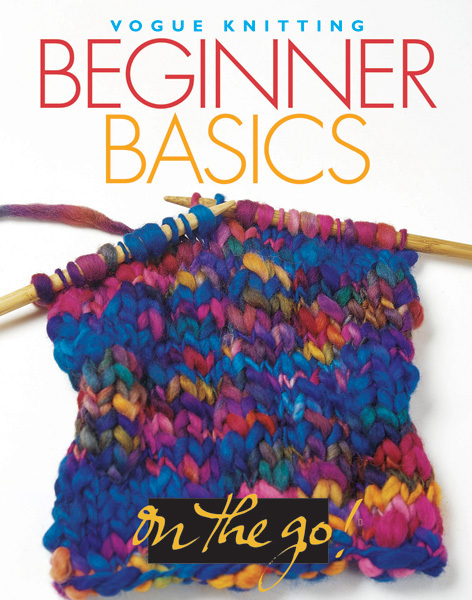 Beginner Basics takes you step by step through the process of knitting by incorporating new techniques and tips into stylish projects. This title may be purchased through and downloaded to your Apple iPad if you are a Vogue Knitting Book App user. Click here to download the free app. Knitting brings out your creative side, offers a sense of accomplishment and can even soothe your nerves at the end of a long day. Embark on the exciting journey of learning a new craft with On the Go! Beginner Basics. One of the best ways to learn to knit is to master one skill at a time, working your way up to more challenging projects as time goes on. This book offers a self-contained curriculum and takes you step by step through this process by incorporating new techniques and tips into stylish scarves, hats, sweaters and accessories that are as fun to make as they are to wear.